WAKISO – The Permanent Secretary in the Ministry of Finance, Mr Keith Muhakanizi, has launched an impassioned defence of government’s decision to borrow USD379.7m (UGX 1.4 trillion) for constructing an International Specialized Hospital in Lubowa, Wakiso District amid strong opposition from a section of MPs. Under the arrangement, the money will be given to an investor to construct the hospital that the government says will be for treatment of Non-Communicable Diseases (NCDs). Addressing journalists at the Uganda Media Centre in Kampala on Wednesday, Mr Muhakanizi said the project represents value for money even amid claims from sections of the public, including the Opposition, said the project is too expensive for the economy. He explained that the project cost is $249m inclusive of a 264-bed hospital, an 82-room budget hotel, a 500 seater conference hall, a health training school and staff housing which will cover 85,000 square meters of built-up area. “The additional $129.81m represents the time value of money or interest cost of payment that government has to incur as a result of repaying FINASI-ROKO Construction over six years. 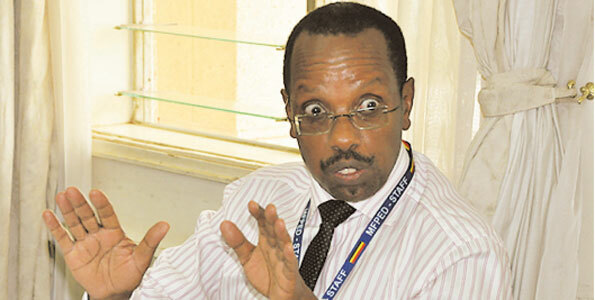 This $129.71m represents an effective interest of 6.49 per cent,” Mr Muhakanizi said. He also dismissed claims that the land has encumbrances, insisting that the government acquired it legally. The land is subject to ongoing legal battle before the Land Division of the High Court since 2015. In a March 25 notice of interest in disputed land at Lubowa to the Managing Director of Finasi-Roko Construction SPV Limited, the administrators of the land state that their great grandfather, the late Omulangira Yusuf Suuna Kiweewa was the lawful owner of the land having obtained it pursuant to the 1900 Buganda agreement. But Mr Muhakanizi said the government fully owns the land with the land title in the names of the Ministry of Health. “Should there be issues on the land, the government will sort it out. But for now, the government has a firm title as confirmed by the MOH,” he added. According to Mr Muhakanizi, the hospital will be managed for eight years after construction by the International Specialised hospital of Uganda Limited which is owned FINASI International Group which is partnering with Pope John the 23rd Hospital in Baergamo.